One egg has 75 calories, 7 grams of high-quality protein, 5 grams of fat, and 1.6 grams of saturated fat, along with iron, vitamins, minerals, and carotenoids. It’s packed with nutrition, just what growing bodies need. After doing a rough survey of our beneficiaries, we found that each child only gets 2 servings of protein a week. Yes, only 2! This is where eggs come in – they’re readily available and they are nutrient-dense. 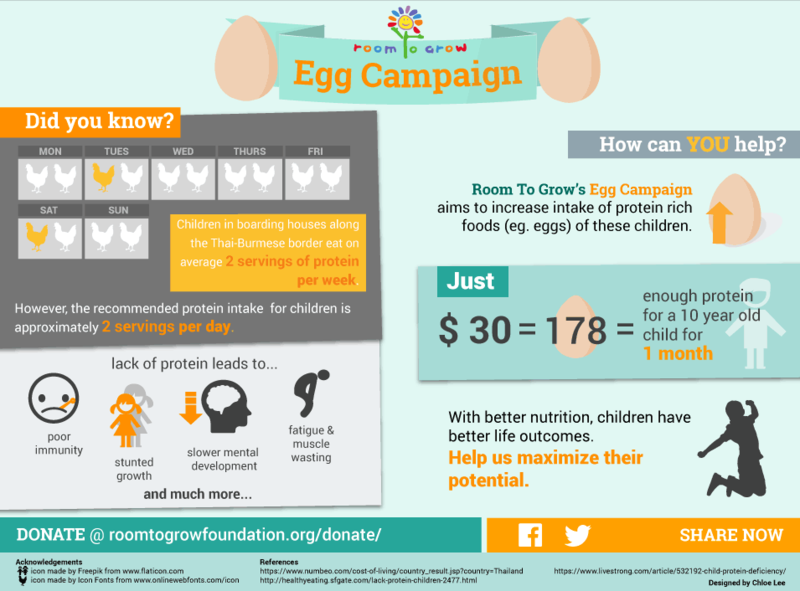 This good cheap source of protein helps children to grow strong and healthy. No Replies to "It's hard to beat eggs"